Plank is meant to be the simplest dock on the planet. The goal is to provide just what a dock needs and absolutely nothing more. 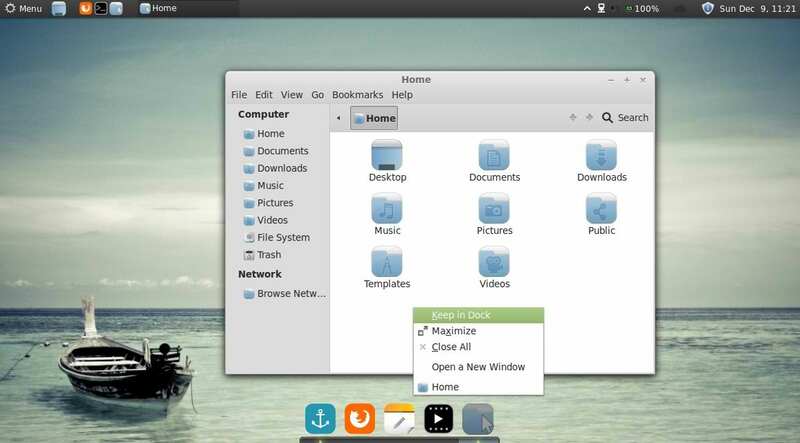 It is, however, a library which can be extended to create other dock programs with more advanced features. Thus, Plank is the underlying technology for Docky (starting in version 3.0.0) and aims to provide all the core features while Docky extends it to add fancier things like Dock-lets painters, settings dialogs, etc. For Example: edit the configuration file. HideMode = 1 means auto hide, set to 0 to disable it. Position = 3 means the dock location. 0 = left, 1= right, 2 = top, 3= bottom. 2 comments to ''Plank Dock for Ubuntu 12.10/12.04/13.04 or Linux Mint 14/13"
whats the name of youre icon theme? i thinks it's plastiqu or plateu.